Wondering which 2017 SUVs seat 9 passengers? The 3 large SUVs listed below all offer standard or optional bench seats that increases their capacity to 9. Choosing the one that is the right fit for you and your family takes time, so we summarized the most important strengths and features of the top 3 to help you narrow down your options. 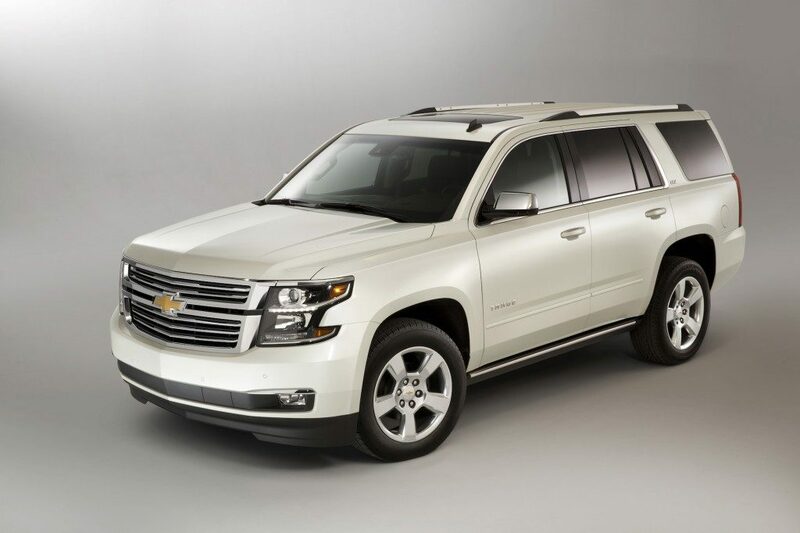 The Chevrolet Tahoe’s large, body-on-frame design is borrowed from the Chevrolet Silverado, and equips this mechanical giant to haul cargo by the literal boatload. The Tahoe’s humble pickup-truck origins give it several advantages over similar offerings from Chevrolet’s competitors, primarily in its ability as a hauler. It also brings distinct disadvantages, like the Tahoe’s rough ride when compared to luxury entries in the full-size SUV class. Despite these minor drawbacks, the Tahoe is still a well-built people and cargo hauler that isn’t afraid to get a little muddy. As is common with large vehicles in the overarching GM family, the Tahoe uses a massive 5.3L V-8 mated to a 6-speed automatic transmission. It features cylinder deactivation for improved fuel economy and comes in either RWD or 4WD options. This workhorse engine puts out 355-hp and allows the Tahoe to haul an impressive 8,400 pounds in the RWD drivetrain. That’s close enough to best-in-class to make the Tahoe a top contender in the hauling department, and it’s clear that anyone who needs that kind of hauling power in a nine passenger SUV will need to take a look at the Tahoe. Its rugged pickup frame has been modified to better absorb rough road conditions and reduce body roll, with Chevrolet’s Magnetic Ride Control helping to balance the enormous Tahoe when changing lanes or turning quickly. There’s less interior space in the Tahoe than some of its larger cousins like the Suburban, but still enough room to accommodate nine when configured with three rows of bench seating. The third row falls a bit short when it comes to legroom compared to longer full-size SUVs, but the width of the Tahoe is about the same as other GM family vehicles, allowing the same “elbow room” as larger models like the Yukon XL. It’s also loaded with high-tech safety and entertainment features. When fully equipped it can beexpensive, but includes a long list of extra toys like a rear seat entertainment package, an 8.0 display in the instrument cluster, and a configurable heads-up display. Advanced safety features include forward collision assist, lane-keep assist, a rear traffic alert system, adaptive cruise control and automated emergency braking. The Tahoe works well as a full-size SUV without the full size that entails. It’s not a small vehicle by any means, but it’s slightly shorter than its GM cousins and that can give it more utility in the right situations. 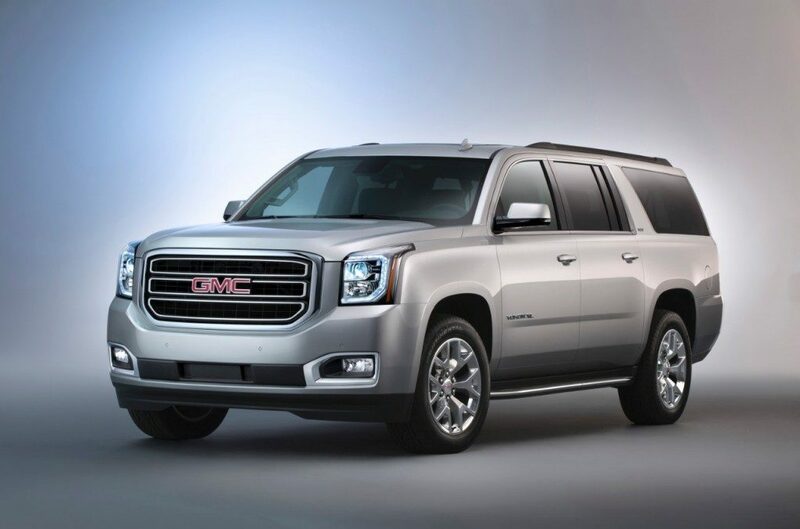 Functionally similar to the Tahoe and the Suburban in its standard and XL trims, respectively, the GMC Yukon is a versatile full-size SUV with a range of configuration options to fit almost any need. It’s a big, heavy, people and cargo hauler with some nice finishing touches to give it a more upscale feel than its cousins. Both the Yukon and the Yukon XL can be selected in the Denali premium trim, adding luxury aesthetic finishing throughout the interior. Mechanically, the standard Yukon engine is identical to the one used in the Tahoe. It’s a big, thirsty 5.3L V-8 that produces 355-hp and is paired with a 6-speed automatic. Where the Yukon differs from its cousins is with the Denali package, which comes with an even larger 6.2L V-8 as standard. The Denali’s 6.2L engine is mated exclusively to an 8-speed automatic transmission, and either engine can be selected with either RWD or 4WD. Both of these engines feature GM’s cylinder deactivation technology, allowing the thirsty Yukon to run on just four cylinders when it makes sense to do so. GMC grants the Yukon the same Magnetic Ride Control technology as the Tahoe, a welcome addition given the Yukon’s high center of gravity and tendency to suffer from lots of body roll. It can tow up to 8,500 pounds. The Yukon’s major selling point is its comparatively upscale feel when placed next to other full-size cargo hauler SUVs. Soft-touch surfaces are the standard, as are comfortable seats and big, sturdy paneling. With three rows of bench seats it will transport nine adults in relative comfort in the XL trim, with a longer 130-inch wheelbase providing extra legroom in the back. The third row folds completely flat for extra cargo capacity when needed. Extra attention to sound dampening makes traveling in the Yukon quiet and composed, with optional noise cancellation available for those who prefer their journeys to be whisper quiet. Oddly enough, the list of optional extras isn’t extensive, with most features being standard depending on configuration. That being said, there is a long list of standard configurations to choose from, available in multiple levels of trim, and most buyers will be able to find a model that fits their requirements. The Yukon models are very similar to the other two vehicles on this list, and can be tailored to fill almost any role. Thanks to GMC’s smart lineup of trim levels and configuration options, Yukon’s can be picked up right off the dealership lot without the need for custom ordering. One of the oldest models still being produced today, the Chevrolet Suburban can trace its roots way back to the dawn of the SUV. It’s stayed true to original SUV concept since that time, catering to buyers interested in the biggest, most heavy-duty hauler SUV available. It’s very similar to the Yukon XL mechanically, sharing much of the same framework and powertrain, but with its own aesthetic flair and, in the Premier trim, luxury. Once again sharing the same 5.3 V-8 as the Tahoe and the Yukon, the Suburban carries just the one engine choice. It’s mated exclusively to a 6-speed automatic and is available in both RWD and 4WD powertrains. The Suburban’s V-8 has the same cylinder deactivation technology as the other SUVs using this motorm allowing it to save gasoline when it’s the extra power provided by the 355-hp monster isn’t needed. Magnetic Ride Control is an available option, and is the preferred suspension choice for the Suburban. Even with Magnetic Ride Control, the Suburban handles like a big SUV, leaning in the corners and being hard to maneuver in tight spaces. It’s not an agile vehicle, but it handles itself well enough when changing lanes or cornering. It has the lowest towing capacity of the three, coming in at 8,300 pounds, which is still enough to haul the family boat or camper and then some. With similar seating accommodations and space as the Yukon XL, the Suburban can carry up to nine passengers with its available bench-seats for all three rows. The second and third rows can comfortably seat adults on short trips, and the doors open wide to help ease access into the third row. The third row will fold flat to provide cargo space instead of seating, and Chevrolet offers a list of extras comparable to what’s available on the Tahoe. A rear-seat entertainment package gives those in the back a DVD/Blu-Ray player to enjoy on long trips, and the same configurable heads-up display is also available. Chevrolet also offers its teen driver software, letting parents choose settings for the Suburban like maximum speed limits. 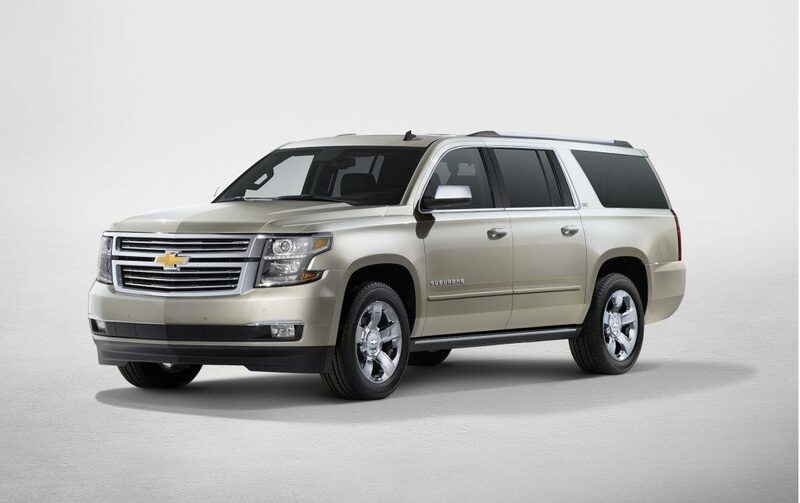 The 2017 Suburban is tailored to fit the full-size SUV hauler role. Customers interested in the Suburban will find its large size a boon rather than a liability and will look to take full advantage of its available space, power, and durability. Which of these vehicles are you leaning towards? Leave a comment and let us know what you like about it!